As we say goodbye to 2013 and rev our engines for 2014, let’s look back at some of the most popular posts from the last year. 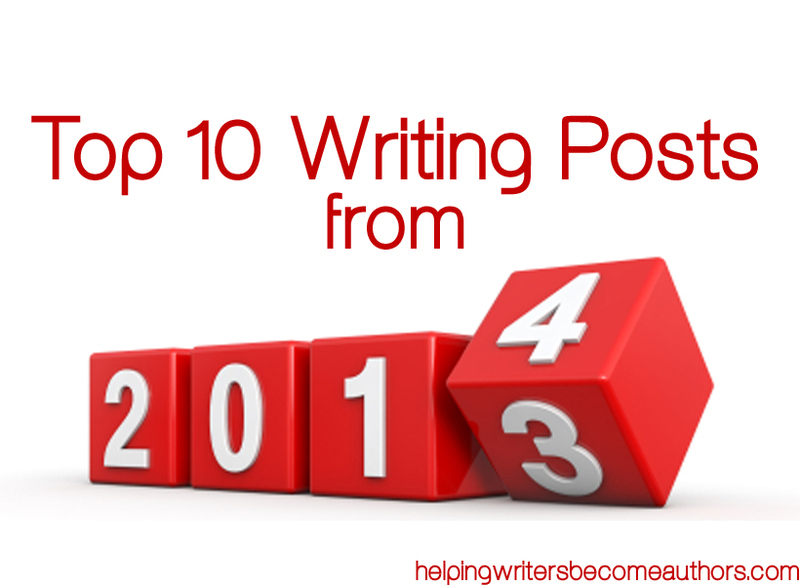 Just in case you missed them, here are the Top Writing Posts of 2013 (as ranked by page hits)! Awesome. Thanks for putting this all together. I’m going to bookmark the page and come back to the articles when I have more time to read them all. Thanks for stopping by! Hope you enjoy the posts! Congratulations on hitting the top 10 bloggers list. Again. It is well deserved, this is one of my favorite sites. And thanks for putting together this list! Thanks! That one is always a tremendous honor. I’m so glad you’re enjoying the posts! A wonderful New Year to you too! Thanks for these highlights. Your blog is consistently outstanding–a must-read for all serious writers. Congratulations on another great year and best wishes to you for success in 2014. Thank you, CG! I’m so glad the blog has been useful to you. A wonderful New Year to you as well!